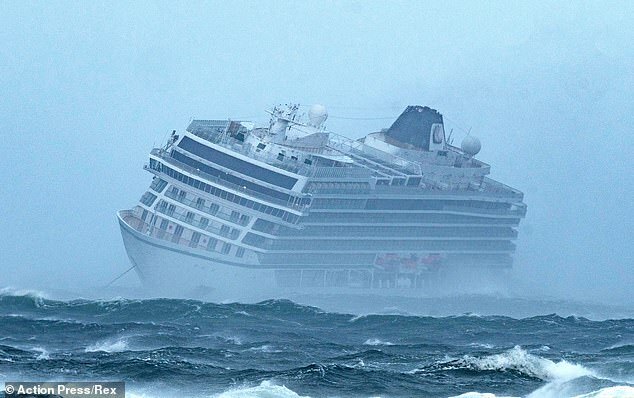 The Viking Sky cruise ship became stranded in the rocky seas off the coast of Norway over the weekend, putting hundreds of passengers and crew members in danger. For days, authorities have been investigating in order to uncover the reason the ship suffered the sudden propulsion problem which caused it to become stranded. Published reports indicate Norwegian officials have reached an initial conclusion. It seems that the cause of the problem was low oil in the engine. USA Today reports that Norwegian officials, working with Viking Ocean Cruises - the company which owns and operates the Viking Sky, have determined that low engine oil was the “direct cause” of the ship’s propulsion issues. In a press release Norway's Maritime Authority indicated that, though the ship’s oil was within the required limits, when the ship hit rocky seas the oil moved and triggered an alarm. As a result of the ship’s mechanical issues officials were forced to anchor the vessel in rocky seas. The ship tossed about and listed violently, sending passengers, furniture, and other fixtures in the ship careening. Helicopters were sent to rescue the passengers, and airlifted approximately 500 people before tug boats were able to tow the ship to port. Several people were reportedly injured in the incident.